Pakistan is currently at the forefront of some of the most major developmental projects and changes of the decade, Gwadar being one of them. A strategically located Gwadar port city positioned on the southwestern coast of Baluchistan, Gwadar plays an important role in the China-Pakistan Economic Corridor project and it is also known as CPEC project. 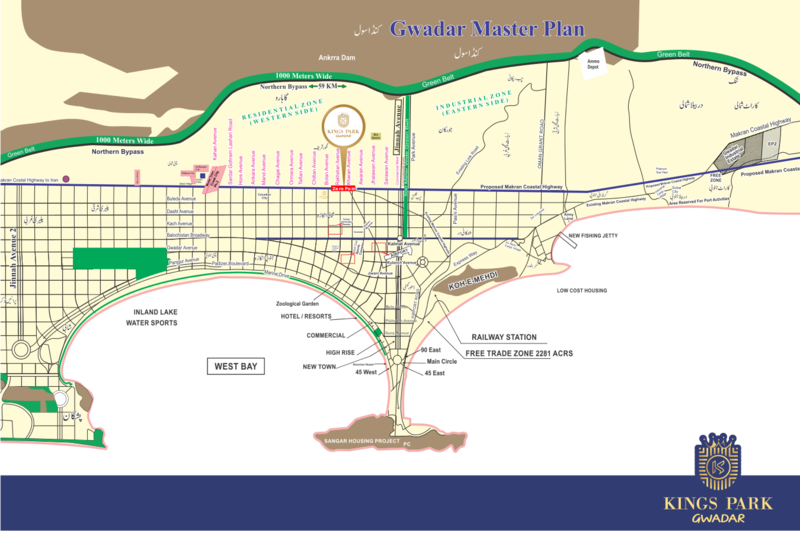 Moreover, the Gwadar city is home to a variety of infrastructural projects, from real estate construction sites to developmental enterprises like the Iran-Pakistan gas pipeline. Once a small fishing village, Gwadar is undergoing a massive transformation and fast becoming a key element of present and future economic undertakings. Moreover, it is a guaranteed aspect of progression and growth in Pakistan, politically, socially and economically. Once constructed, the Gwadar city will play host to major projects, and countless national and international investments that will not only promote trade and tourism but also deepen strategic and communication links. Located on the western end of Balochistan coast, Gwadar has 600km long coastal belt with beaches and bays. It lies just 624 nautical km to the east of Strait of Hormuz, which is an important route of oil tankers bound for Japan and western countries out of Persian Gulf. Also its a gateway for Southwest and Central Asian countires. The Central Asia region has an area of 1.6 million square miles. Total oil reserves of the Caspian Sea region are estimated at above 200billion barrels. Currently total production is 1 million barrel per day. It is estimated that this could reach 3.4 million barrel per day by the year 2012, assuming the increased demand of oil in the world markets. On the other hand, total gas reserves are over 3,000 billion cubic meters. Natural gas reserves in the Caspian Region are even larger than the region’s oil reserves. Main reservoirs of oil and gas are in Turkmenistan, Uzbekistan and Kazakhstan. • Capitalize on opportunities for trade with landlocked Central Asian States & Afghanistan. • Promote trade & transport with Gulf States. • Trans-shipment essentially of containerized cargo. • Unlock the development potential of hinterland. • Diversion of influx of human resources from up country of Gwadar instead of Karachi. • Economic uplift for the province of Balochistan. • Establishment of shipping related industries. • Export processing and industrial zones. • Reduce congestion and dependency on existing ports of Karachi and Bin Qasim. • Will become a regional hub. Future of real estate in Gwadar may go parallel. Gwadar plan was started few years back and many investors had invested in Gwadar but for some reasons it was shuttered down for a long time of period and people were worried about their investments because no prospective developments were seen. But now the time has changed. The shutter is up and shop will remain open for forever. We are not predicting, because in business we believe in facts and figures. Now we are seeing a bright future of Gwadar as there are so many big projects are under construction and with the development of these projects, Gwadar property rates are raising towards sky. Investor who had invested in Gwadar a few years back, found them lucky, as it is a kind of lottery to them. The land of mud is being changed in the land of gold to them. Local people of Gwadar should come forward to take the benefits. Gwadar real estate investment opportunities are increasing day by day. But thing is that where one go for investment. If the investment is in right place, may get the benefit in shot time period and if it is wrong place then may be long term or with loss. After stone breaking ceremony of Coastal High Way and Deep Sea Port, Gwadar took a turn, and diverted the attention of people/investors from all over the world. Gwadar is becoming a stone of luck for Pakistan as it will soon change the economy of Pakistan.